After you have configured the Remote Notification RSS feed, there are a number of different ways you can access the feed. The URL needed to access the feed is displayed on the Remote Notification settings tab of the Home Server Console, and links are added to the Home and Remote web pages on the server. See this help topic for more details on how the RSS feed works. 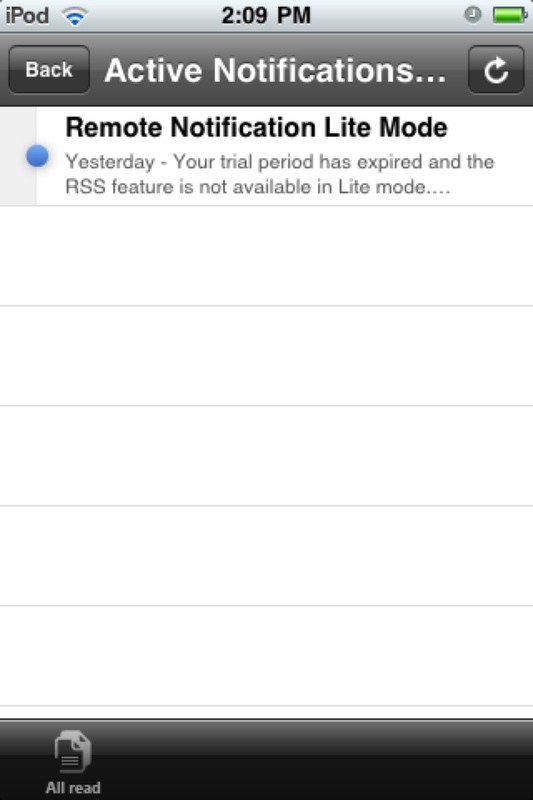 There are numerous different readers that can consume the Remote Notification RSS feed. Here are just a few of the more popular, if you are having trouble with a specific RSS Reader please visit the Support Forums for assistance. FeedReader3 is a great, free reader for Windows that supports Authenticated feeds. It also has a nice system tray application that shows balloon-style popups when a new item arrives in your feeds. 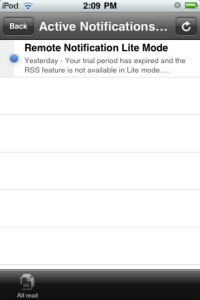 Free RSS Reader is an iPhone/iPod app that works well, though it does not support authenticated feeds.